I have a tiny bit of an obsession with nail polish, hence my Nail Polish Invasion post i did couple weeks ago. I, however, have recently discovered an appreciation for blues and in particular, light blue nail polishes. Here are some of my favorite colors from a couple of different brands. Next week I'll probably go for lilacs and I can tell you now my favorite is Lilacism, by Essie. Oh, and before i forget, click here to follow me on Twitter and here to follow me on Bloglovin. credit: luux.com, alllacqueredup.com, hausofpolish, polishorperish, nailinit, thedailyvarnish, chickisnails, getnailedbypolish and swatchaholic. 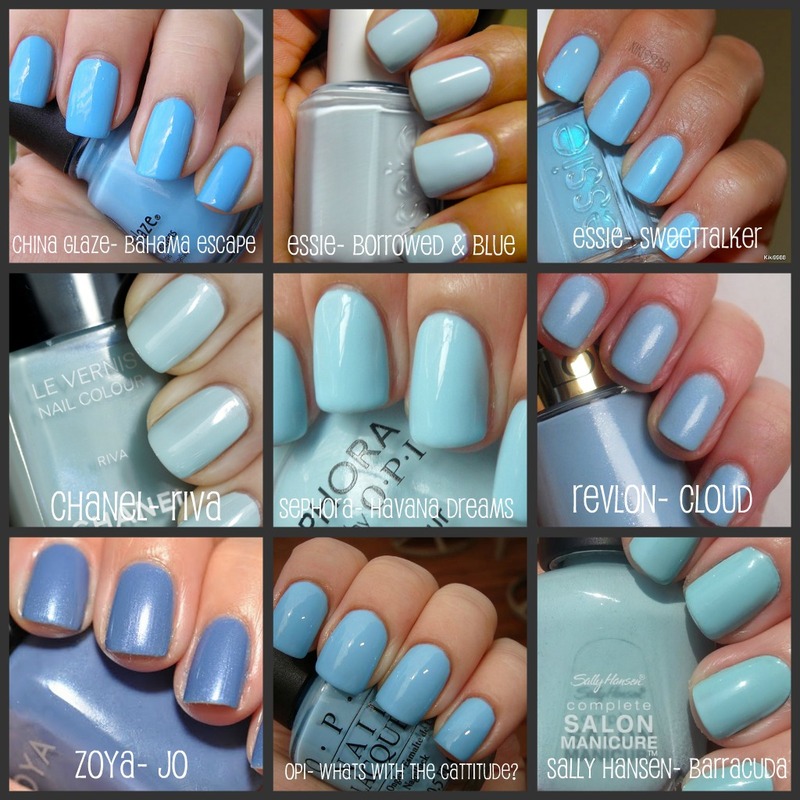 5 comments on "FAVORITES: LIGHT BLUE NAIL POLISH"
All these colors are so fascinating that I would love to apply each one of them on each nail. It would really look so different and awesome for everyone looking at them. But using Fimo art is so simple, just anyone who's into beginners nail art can use Fimo art and give themselves a very unique and interesting manicure that everyone will want to see and talk about. You can easily do a quick Google and YouTube search for a whole host of other resources.